Situated on the boardwalk, this spa hotel is within 3 mi (5 km) of Tengah Beach, Pantai Cenang Beach, and Underwater World. Cenang Mall is 2.3 mi (3.6 km) away. Along with 2 restaurants, this hotel has 2 outdoor pools and a full-service spa. Free WiFi in public areas, free self parking, and a free area shuttle are also provided. Additionally, a health club, a bar/lounge, and a poolside bar are onsite. All 211 rooms offer room service, coffee makers, and TVs with satellite channels. Other amenities available to guests include ceiling fans, hair dryers, and safes. Resorts World Langkawi features 2 outdoor swimming pools and a health club. Dining is available at one of the hotel's 2 restaurants and guests can grab coffee at the coffee shop/café. Guests can unwind with a drink at one of the hotel's bars, which include a poolside bar and a bar/lounge. Wireless Internet access is complimentary. Event facilities measure 463 square feet (43 square meters). This Langkawi hotel also offers spa services, tour/ticket assistance, and an arcade/game room. Complimentary self parking is available on site. 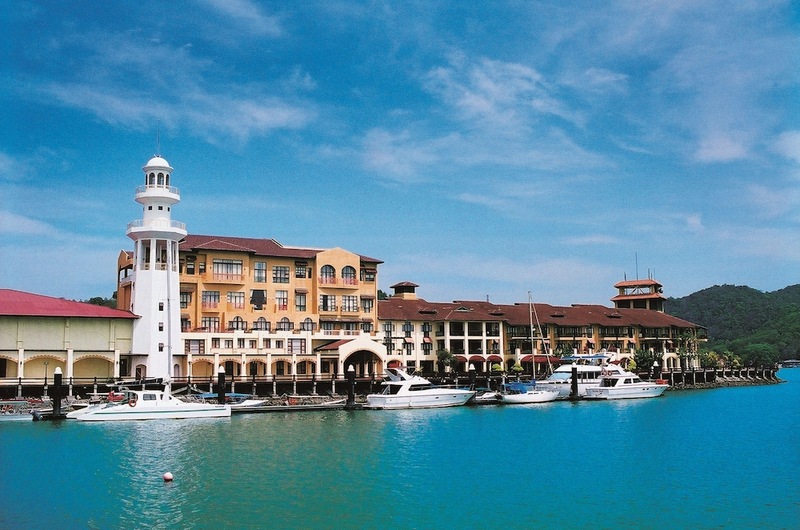 Resorts World Langkawi has 2 restaurants serving breakfast, lunch, and dinner. Seagull Coffee House - This restaurant specializes in Asian cuisine. Zest - This restaurant serves dinner only. 2 outdoor swimming pools are on site along with a health club. Guests can indulge in a pampering treatment at the hotel's full-service spa, Taman Sari Royal Heritage. Services include facials, body wraps, body scrubs, and body treatments. The spa is equipped with a spa tub. A variety of treatment therapies are provided, including aromatherapy.